Q: We read your article ‘Income Tax and Capital Gains Rates for 2017’. What are your top 10 recommendations to reduce income taxes and capital gains taxes in 2017? Taxes are like wild beasts – unless you tame them they could eat you alive. Understanding the tax code can be difficult and time consuming. Fortunately, there are numerous ways to reduce income taxes and capital gains taxes. Let’s review the top 10 tips below. 1. 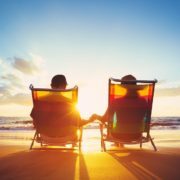 Reduce Your Income Tax and Capital Gains Rates by Contributing to a Retirement Plan. Pretax contributions to employer sponsored retirement plans can reduce your adjusted gross income (AGI), which can reduce your marginal and effective income tax rates. Reducing your adjusted gross income can reduce your long term and short term capital gains rates. It may also exempt you from the ominous investment surtax (net investment income tax). Common retirement plans include: 401(k), 403(b), 457(b), pension plan, SEP IRA and SIMPLE IRA. 2. Claim Your Exemptions. Reduce your taxable income with exemptions. Typical exemptions include you, your spouse and your children under the age of 19 or students under the age of 24. Dependents may also include other relatives that you primarily support. Each exemption reduces your taxable income by $4,050. Exemptions are subject to phase-outs that begin when your AGI exceeds $261,500 for single filers and $313,800 for those married filing jointly. Exemptions phase-out at $384,000 for single filers and $436,300 for those married filing jointly. 3. Claim the Larger of a Standard Deduction or Itemized Deductions. The standard deduction for a single filer is $6,350 and for those married filing jointly it is $12,700. Itemized deductions include charitable donations, mortgage interest, state and local taxes, medical expenses and long term care insurance premiums. Itemized deductions may be capped or phased out based on your income due to the Pease limits. The Pease thresholds begin at $261,500 for single filers and $313,800 for those married filing jointly. 4. Reduce Your Income Tax Rate by Contributing to a Section 125 Cafeteria Plan. Pretax contributions to employer sponsored cafeteria plans can reduce your adjusted gross income (AGI). 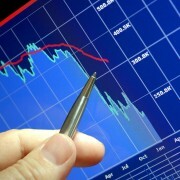 The reduction in AGI can reduce your long term and short term capital gains rates. The premium only plan (POP) can be used for your portion of health insurance premiums. The flexible spending account (FSA) can be used for medical expenses up $2,600. The FSA can be used for dependent care expenses up to $5,000. 5. Exercise Tax Diversification. Interest generated by fixed income investments like bonds are taxed at your income tax rate, while qualified dividends from most stocks and stock funds are taxed at your more favorable capital gains rate. Exercise tax diversification by placing income generating assets in tax shelters like 401(k)s and IRAs. Exercise tax diversification by placing higher yield dividend producing stocks and funds in tax shelters, and lower yield growth stocks and funds in taxable accounts. Your heirs will ‘appreciate’ the benefit of a step-up in their basis based on the fair market value of your investments upon your death and their inheritance. 6. Turn Short Term Capital Gains into Long Term Capital Gains. 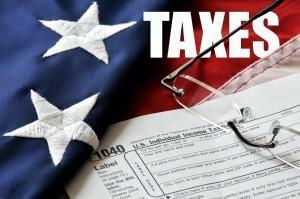 Short term capital gains (365 days or less) are taxed at your ordinary income tax rate. Long term capital gains (366 days or more) are taxed at your more favorable capital gains rates. Before selling an investment check to see how long you have owned it. A long-term capital gain can reduce your taxes obligation by 50% versus a short term capital gain. 7. 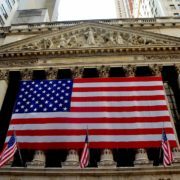 Offset Capital Gains with Capital Losses. You can offset capital gains with capital losses. Short term capital gains can be offset by short term capital losses. Long term capital gains can be offset with long term capital losses. Net capital losses (losses minus gains) can be deducted up to $3,000 per year. Amounts exceeding $3,000 can be used in future years as a ‘capital loss carryover’. 8. Convert Pre-tax Retirement Accounts to Roth Accounts in Lower Income Years. Converting pre-tax retirement accounts to Roth accounts is a taxable event, subject to your income tax rate. Completing conversion in small increments could allow you to maintain your income tax bracket. Even better – complete conversions in lower income years (e.g. : when only one spouse is working or in retirement). 9. Avoid Double Taxation on You Investments. Track the cost basis of your investments. If you reinvest dividends or capital gains distributions on your investments be sure to add them to your cost basis. If you forget to add them to your cost basis you may pay taxes twice – once when you receive them and a second time when you sell them. Be sure to add them back into your cost basis. 10. Save for Higher Education in a 529 Savings Plan. For 2017, the maximum contribution per person, per beneficiary, to a 529 higher education savings plan is $14,000. There is a special five-year pull-forward rule, allowing you to contribute $70,000 in a single year, per owner, per beneficiary. If the money is used for higher education, all principal and gains are tax free. Funding your 529 also provides valuable estate planning benefits, as contributions and gains on those contributions are exempt from estate taxes. Work closely with your Registered Investment Adviser (RIA) to reduce your taxes, and grow and preserve your wealth. 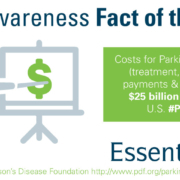 Long Term Care Awareness Fact of the Day - Costs for Parkinson's Disease is $25 Billion Per Year in the U.S.